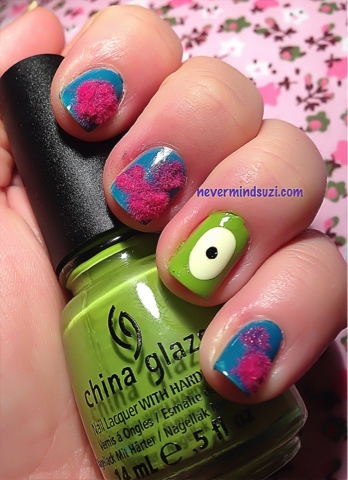 Today I've got a Monsters Inc themed mani. I really love this movie, its super sweet and I love John Goodman and Billy Crystal as Sully and Mike. I decided to try a textured mani. Are you looking forward to Monsters Inc University?? 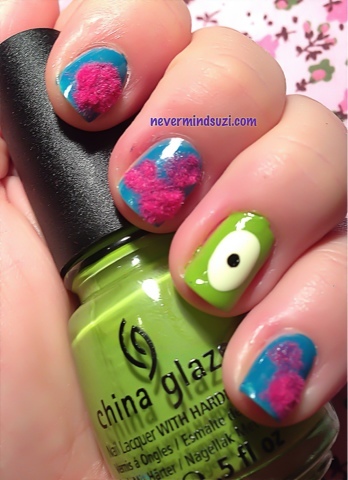 I loooove how you used the fuzz in this mani! So creative!